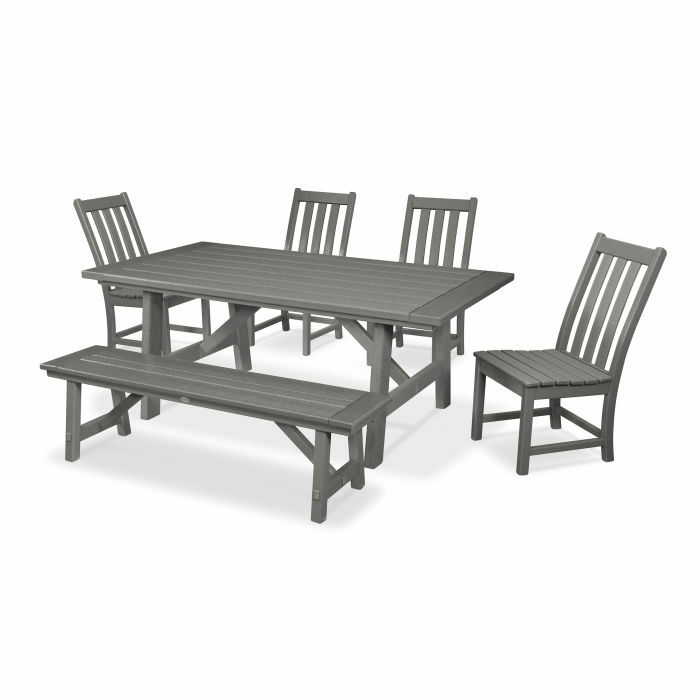 Gather family and friends around the table for a relaxing meal outdoors with the Vineyard 6-Piece Rustic Farmhouse Side Chair Dining Set with Bench. This comfortable set seats up to six guests for a laid-back outdoor dining experience with modern farmhouse flair. The Vineyard Dining Side Chairs feature comfortably arched backs while the Rustic Farmhouse 39" x 75" Dining Table provides sleek leg details and a spacious tabletop.